Track names and durations are not noted on the release. 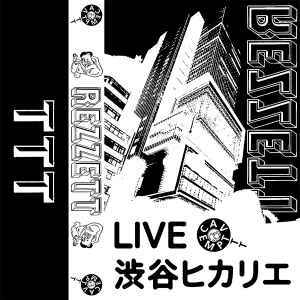 A-side recording is taken from Rezzett's soundtrack for Cav Empt's SS15 show on 18th October 2014. B-side recording is a live recording of unknown origin. Does anyone know the name of the sleeve design artist?? Would love to buy; please hit me up if you have a copy! UK! Are these prices a joke or something? Absolute chances. Good job TTT are on to making some more. DO NOT BUY! Yoooooo if you're looking to sell hit me up. Need that Cav Empt goodness. Hoping for another round on this one! if you're willing to sell your copy, hit me up!